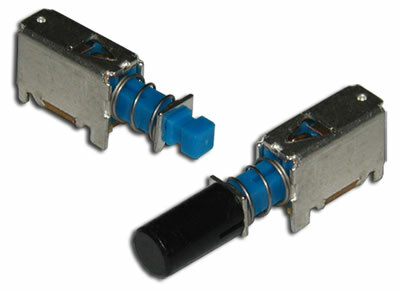 The MP Series is a SPDT or DPDT horizontal push button switch with a choice of solder lug or PC pin termination. 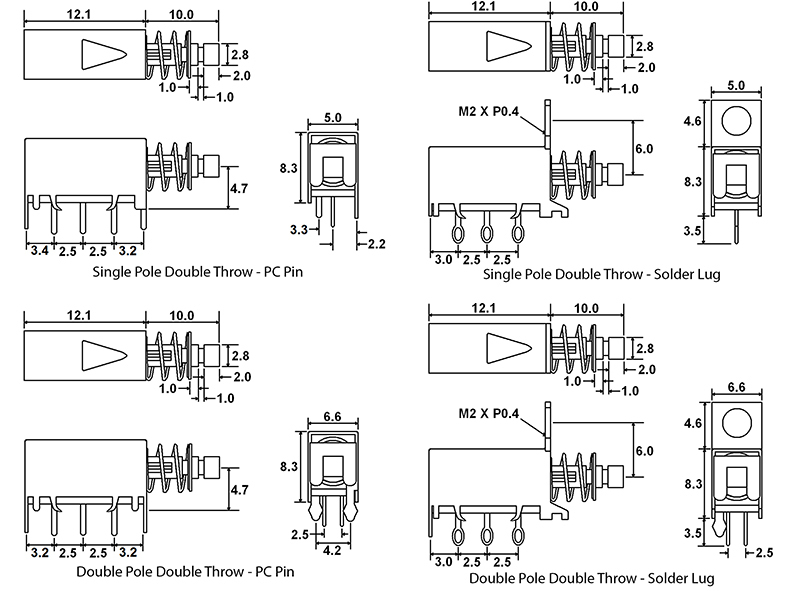 Case style choices are PC pin case or threaded panel mount tab. Momentary or latching, the MP Series push button switch offers cap options in white, black, red, light gray or custom colors.